I totally agree with you on the idea that teachers need to respect and preserve other languages and dialects, and not promote a Standard American English over them. Many minority students might feel a need to whiten their writing in order to become successful in life. 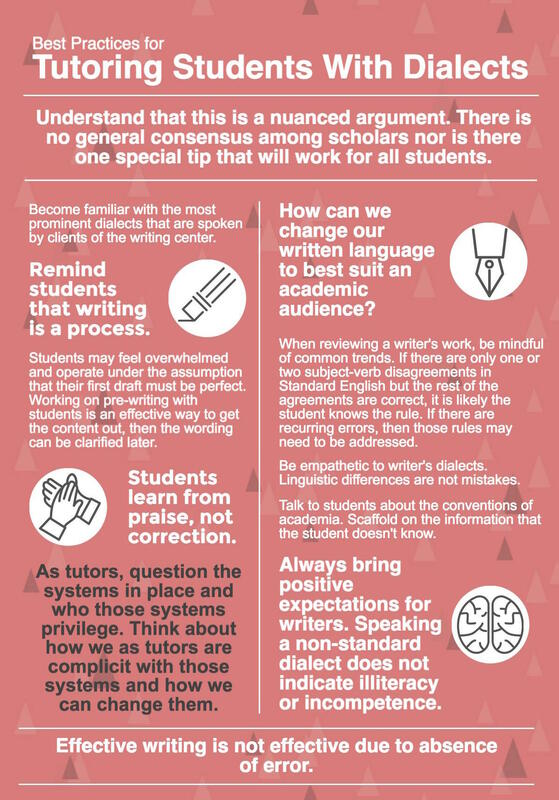 Students should not be intimidated to change their style of writing because it doesn’t fit what many composition teachers consider “normal” or “standardized”. Your studying background is fascinating. I think that teaching freshmen in high school is very beneficial as an experience, because the composition courses at Ball State, might sometime deal with students coming straight from high school, and the composition class is the place where you try to influence the way they think about writing as a field and as a practice. Again, the idea of making the writing reflect ones identity is a great one. I can know read Spivak, Judith Butler, or Noam Chomsky, and guess that it is these different identities that are writing. That is why their writing is everlasting and successful. I am currently shadowing ENG 103 and next week students will be introduced to the rhetorical triangle. I think that they need to remind themselves of this communication triangle, as their writing should always be have the triangle components in order for them to have clear writing. I will also model for students how to make use of this rhetorical triangle in their writing. I am so excited to have this opportunity to teach the students something new, and that will accompany them in their writing courses as they progress. Thank you so much for this great post. I have a lot to learn from you. My father is an education major, however I have always believed that he is a rhetoric and comp major by nature, because of the way he writes and teaches. I look forward to learning from your experience. Great Post!